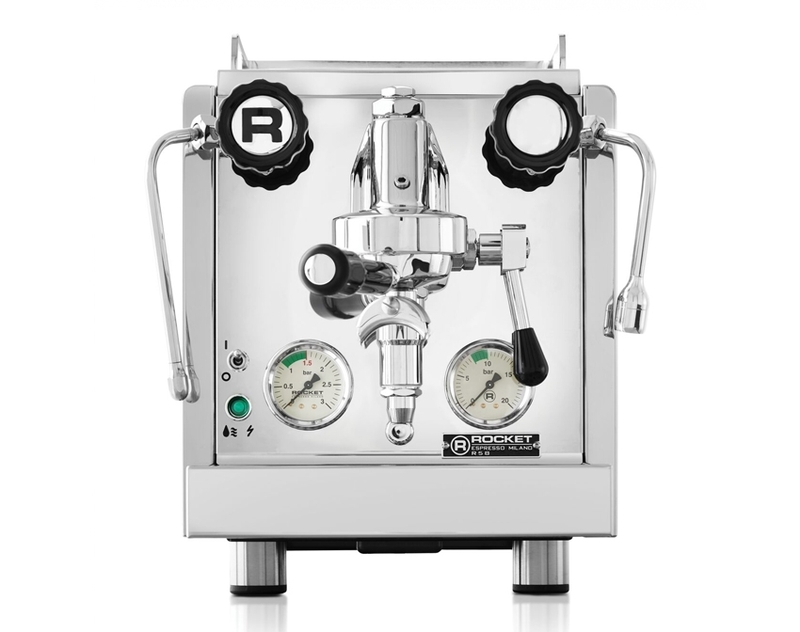 The Rocket R58 Dual Boiler espresso machine features a lever controlled E61 group and the ability to be used with either a direct connection to a water line or by filling the 2.9-liter water tank. 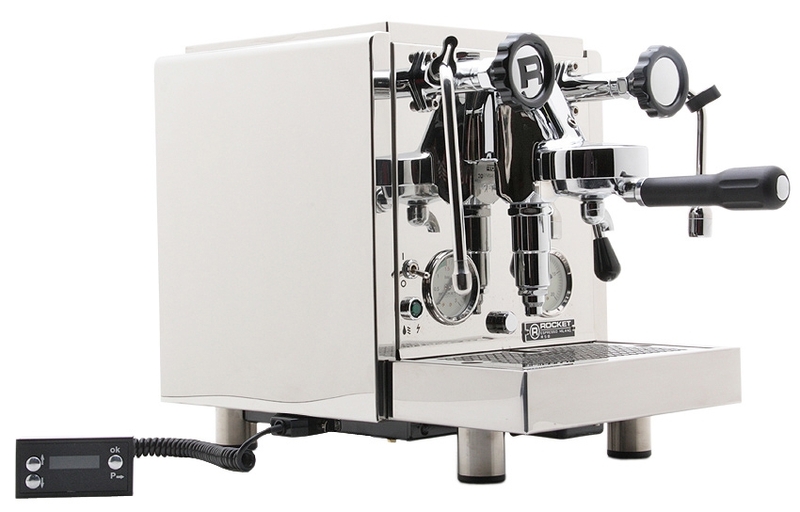 Two independent boilers offer complete temperature stability and control on the Rocket R58 espresso machine. 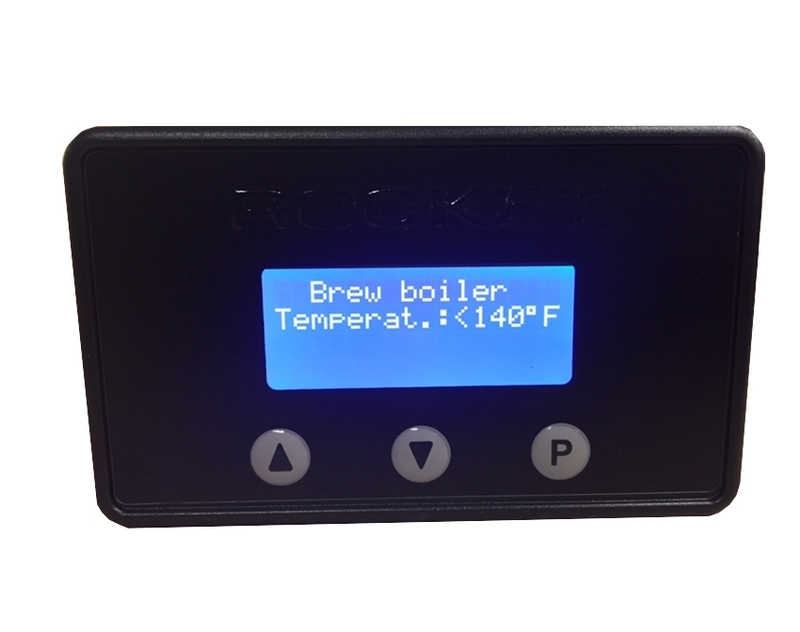 For maximum temperature stability and control, the Rocket R58 espresso machine is designed with 2 boilers: 1400 watt 1.8 liter insulated copper steam boiler and a 1400 watt .58-liter insulated copper brew group boiler. 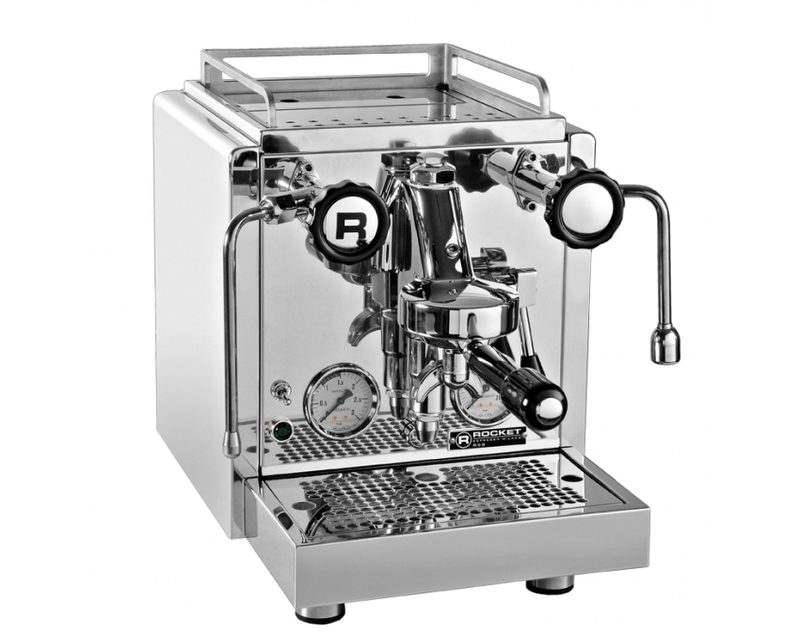 Designed by Faema in 1961, the R58 features a E61 Grouphead with a dual pre-infusion system for great shot quality. Proportional–integral–derivative controller is a advanced temperature control system the actively monitors and adjusts to maintain whatever temperature you set. 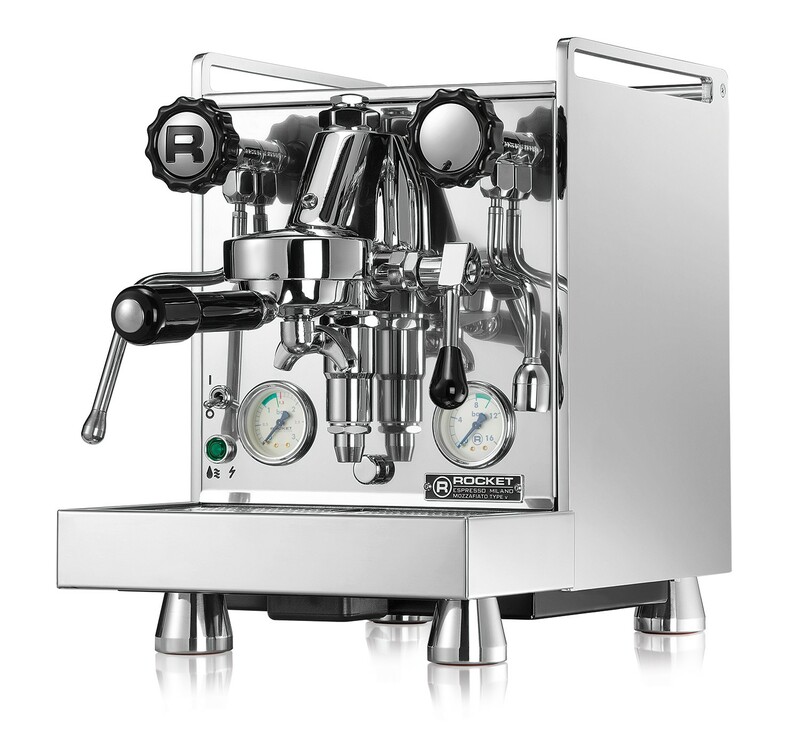 Dual manometers provide a visual feedback of operating pressure of the Rocket R58 espresso machine. Both steam boiler pressure and brew group pressure are displayed. Makes Great Coffee. Easy to use, reliable, consistent. Semiauto features are appreciated when making Americanos and other variations on a theme. 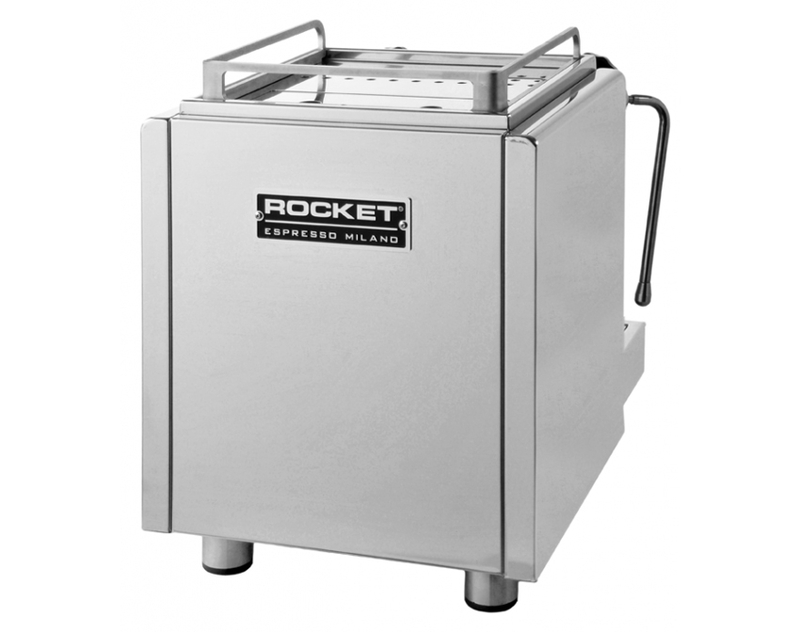 A little pricey but well built, consistently excellent extractions and temps, durable, double broilers, able to plum for filtered water so manual filling of the Resivoir is no longer necessary.